Prepare for a spectacular show on Saturday 3rd March 2018!! It’s Disney On Ice is proud to present their latest production, Follow Your Heart, starring everyone’s favorite fish, Dory from Finding Nemo! Coming to the Oracle Arena for a limited 5-date run – tickets are going to fly for this ever-popular production, so don’t delay! Book early for best chances of getting the seats you want and get ready for a fun-filled show for all the family! Using state-of-the-art technology including projectors, costumes and scenery, the ice rink is transformed into Dory’s thriving underwater world! 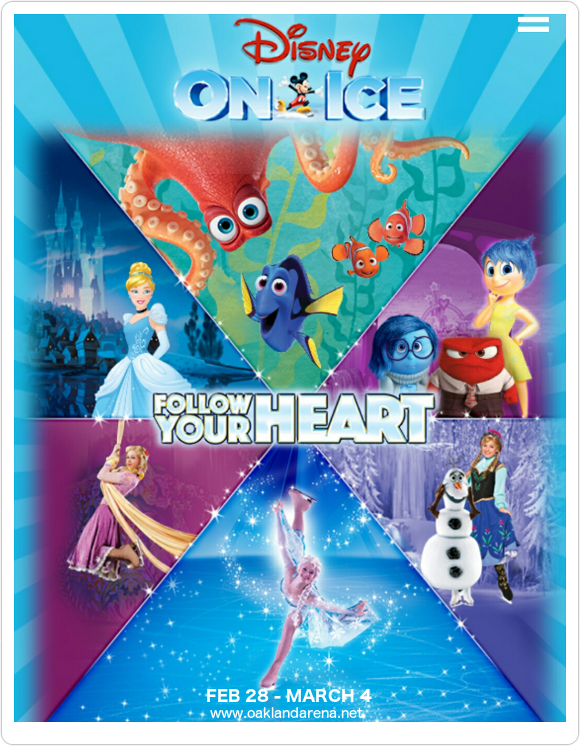 Join her and her friends Marlin, Nemo and the octopus Hank in an all-new adventure, featuring special guest appearances from other favorite Disney characters including the Riley’s Emotions from Inside Out in their debut Disney On Ice appearance! Don’t mis out – get tickets for you and all the family while they last! !